I had the privilege of meeting up with fellow bloggers for the first time except Elin at Mid Valley a few days ago. It was a glorious few hours getting to know these lovely ladies. We had a great time chatting, sharing blogging, photography and baking tips and getting to know one another. The extraordinary thing was how easily we all click...........no pretense, no awkwardness; no fumbling for something to say.........it was relaxed and genuine and the time went by way too fast! Thank you Elin, Joanna, Reese, Quinn, Tracie, Swee San, Sonia, Pei Lin, Bee Bee and Petite Nyonya, for a lovely time, the flower and the gifts. It was such a pleasure to finally meet you all. We have to do this again the next time. From L to R : Lovely Petite Nonya, Reese, Bee Bee and Sonia. Pasties are very popular throughout Cornwall, Devon, Wales, North East England, other parts of the United Kingdom, Ireland and Brittany. The traditional pasty is filled with beef, sliced potato, turnip and onion. The wonderful aspect about pasties is that you can use any kind of fillings from meat and potatoes to cheese and vegetables. I made these pasties with my leftover turkey from Thanksgiving. Since I have leftovers roasted potatoes and gravy I add to it too. 2. Divide the dough into 6-7 pieces, and roll the dough into circle on a lightly floured surface to about ¼” thick. 3. Put ¼ cup of the filling into the center of the pastry. Moisten the edges with some water, fold into half and crimp to seal. 4. Place on a lined baking sheet and brush lightly with egg wash. Bake in a pre-heated 350 degree F oven until golden brown. No Chinese New Year celebration will be complete without cookies. For this year I only made pineapple tarts , Hup Toh Soh. Other cookies like Almond slices, Almond brittles, peanut cookies, crispy keropok and arrowroot chips were given by friends or relatives. No CNY is complete without the cookies. Best to be eaten with a cup of Chinese tea. 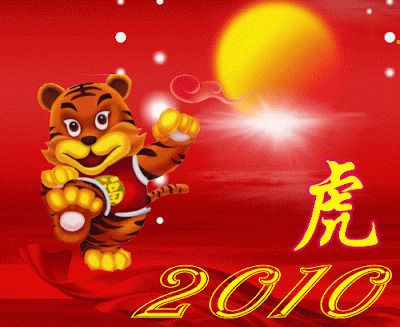 May the Year of the Tiger brings you good health, wealth and happiness!! Finally my pineapple tarts made it debut here for this year. . I’ve been busy doing last minutes baking since I came home. For these tarts I made the jam as I find the store bought one too sweet and lack of pineapple taste. Making these is time consuming and it took me over 5 hours do 5 big containers but it is all worth it. What is Chinese New Year without pineapple tarts, right? This year I made 3 different designs. . Which one do you prefer? For the recipe you can refer here . This is the traditional design. For this I used a flower pineapple tarts cutter. For this I just used a normal flower shape cookie cutter and then bake it in small paper cups. Here wishing everyone a Happy and Prosperous New Year, Gong Xi Fatt Chai and Happy Valentine’s Day. I always like to have a packet of frozen puff pastry in my freezer and it will become real handy if I want to make a quick snacks. I don’t normally cook on weekends as we will have whatever leftovers from the weekdays or I will make something simple with whatever I can find in the fridge and pantry. One of the snacks that we love is this tuna puffs. This is what you need. 1. Line a baking sheet with parchment paper. Pre-heat the oven to 375 degree F.
2. In a bowl, mix all the filling ingredients together. Set it aside. 3. Thaw the puff pastry. Dust the work table with some flour. Unfold the pastry and roll it out thinly and cut into 6 equal rectangle. 4. Put about a table of filling on the pastry and fold it over to close the edges. Press down the edges with a fork. 5. Brush the pastry with some egg wash and bake until golden brown.